Integrated with video downloader, Wondershare UniConverter (originally Wondershare Video Converter Ultimate) enables you to perform more than Converting Video. The guide below will teach you an easy way to download online video from YouTube, Hulu, Vimeo and 10000+ popular video sites to computer. Download Wondershare UniConverter (originally Wondershare Video Converter Ultimate) to your computer first, then launch it and click Download section in the top. 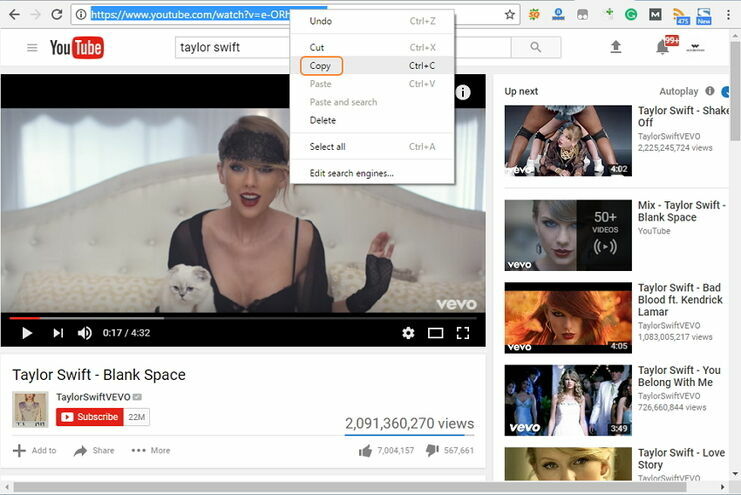 Visit YouTube, Dailymotion or other video sharing site via your browser, find the video you want to download, then open it to copy its URL. 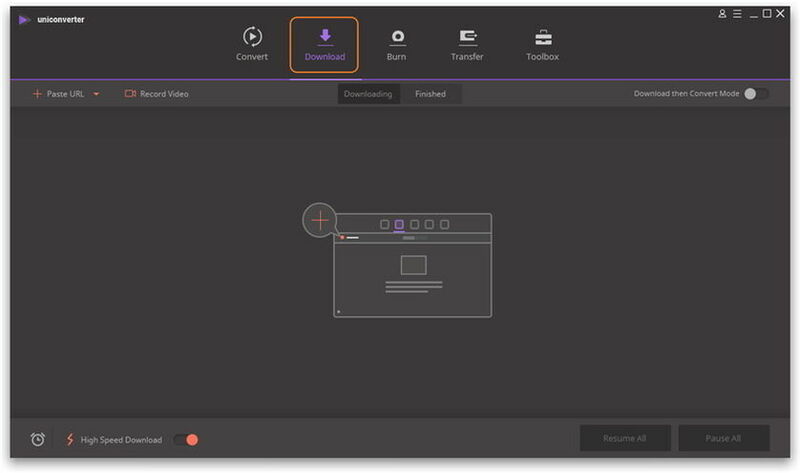 Return to Wondershare UniConverter (originally Wondershare Video Converter Ultimate), click + Paste URL in the upper-left corner and you’ll get a setting dialog window, click Download to start downloading. Note: You can select format and resolution for the downloaded video in the pop-up window, for more information please check Download Video Tips >. 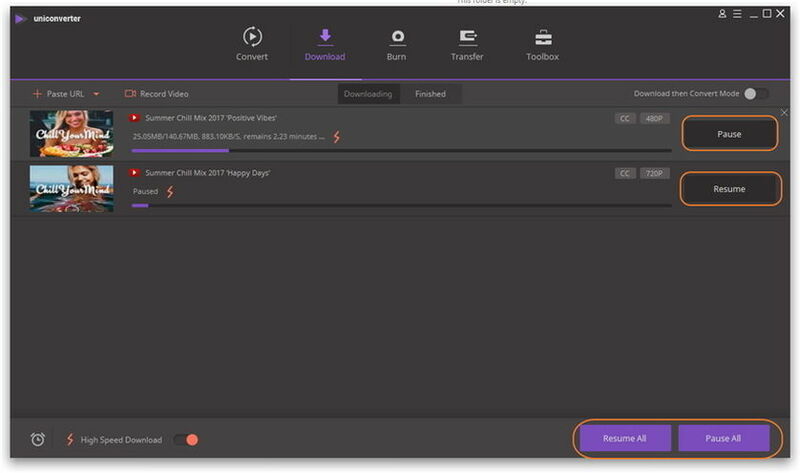 Now the program is downloading the video, you can easily tell the download speed and remaining time from the progress bar. Click Paused will stop downloading, and click Resume will restart downloading again. 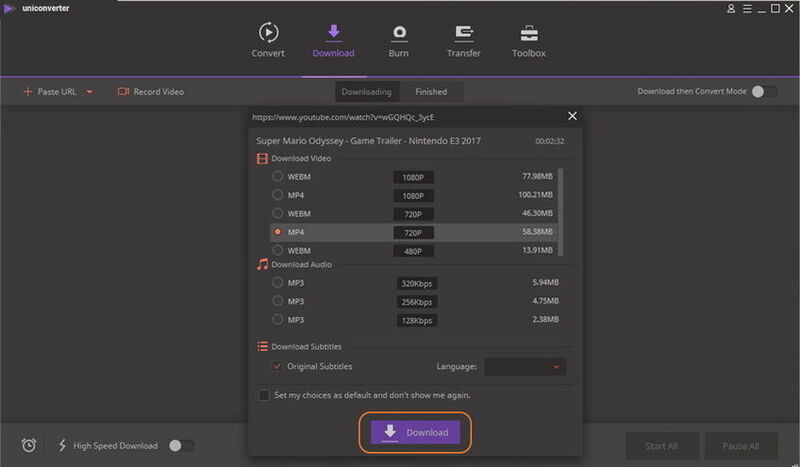 You can also click Start All or Pause All in the bottom right to start or stop downloading 2 or more videos at one time. 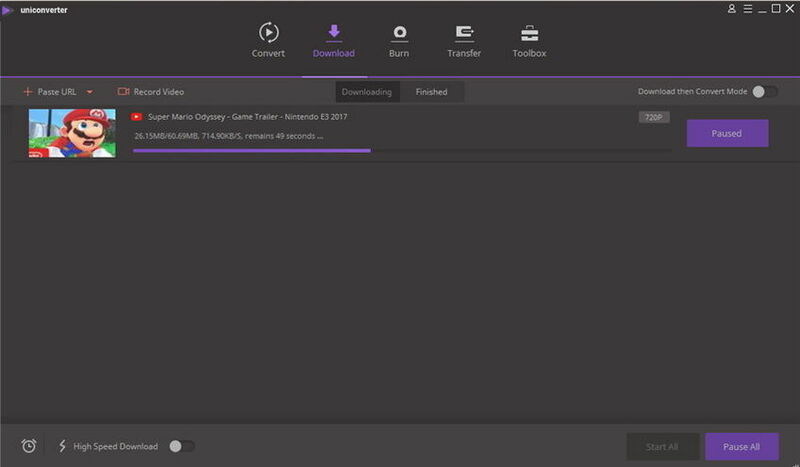 When the downloading completes, you’ll receive a pop-up windows from the bottom right side of your computer screen. Now you can go to Finished tab to view the downloaded video.